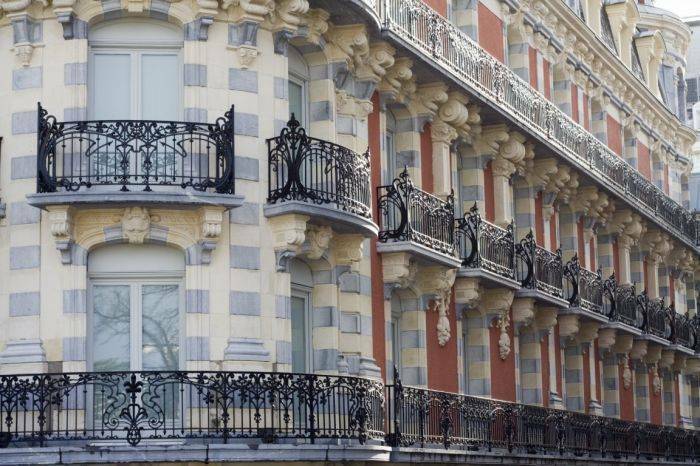 Built in 1896 by the Soubirous, the Grand Hôtel Moderne is a jewel of the early 19th French architecture and provides the best location in Lourdes (at only 50 m of the Sanctuaries). Recently renovated, its 110 rooms are spacious, elegant and decorated with a great sense of taste and high level of comfort. The hotel also provides a bar, a restaurant and 2 meeting rooms. 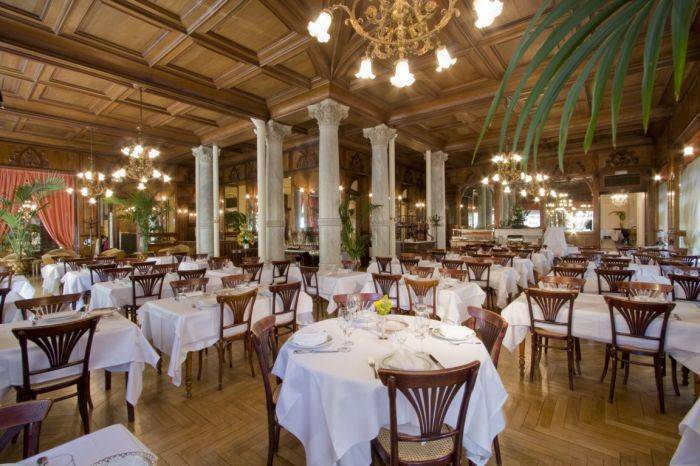 Having a look on the amenities, the hotel provides a nice bar and a charming restaurant named the “Majorelle” where you will enjoy a typical French-Italian food in a stylish atmosphere of mouldings, wood and Italian marble from Carrare. Two rooms are also at your disposal for the organization of meetings, seminars, masses or private parties. The hotel also provides Wifi Internet access in the main Lobby, a luggage room (for late check out), a TV room equipped with huge screen (sporting events) as well as a leisure room. 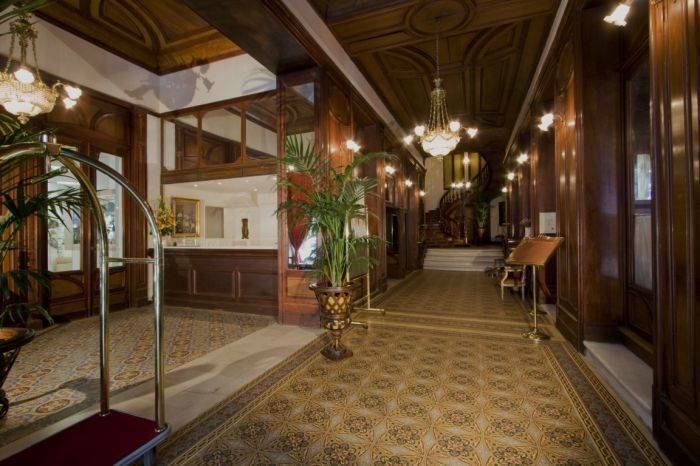 Recently renovated, the hotel provides the best of old-world charm and moderne comforts. All our guest rooms are very spacious (168 to 375 sq. ft) and most of them offer an access to a balcony. 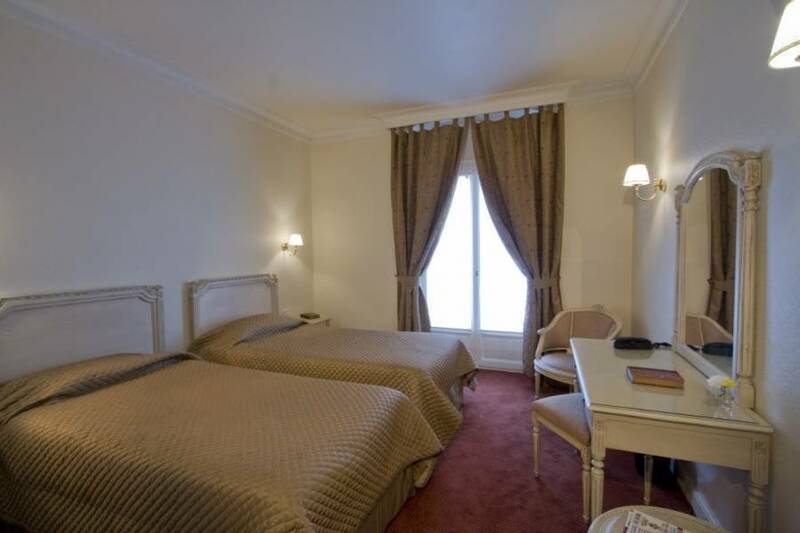 The elegant rooms are decorated in classic French style with large and very comfortable beds (39/55/63 in x 79 in), are equipped with Satellite Television, direct telephone line and individual heating/cooling controls. All our bathrooms are luxuriously appointed in Italian marble and white porcelain. 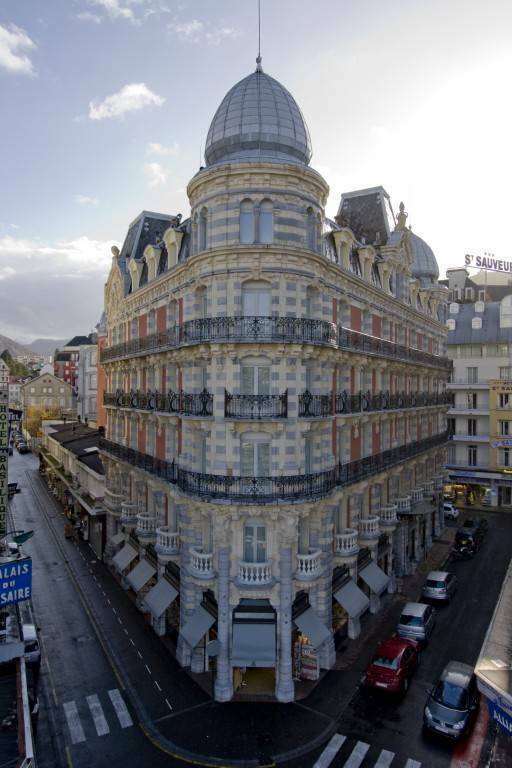 The Grand Hotel Moderne provides the best location ever... in the heart of Lourdes and facing the Shrines (1 minute walking). It also offers direct access to all the shops of the holy city. 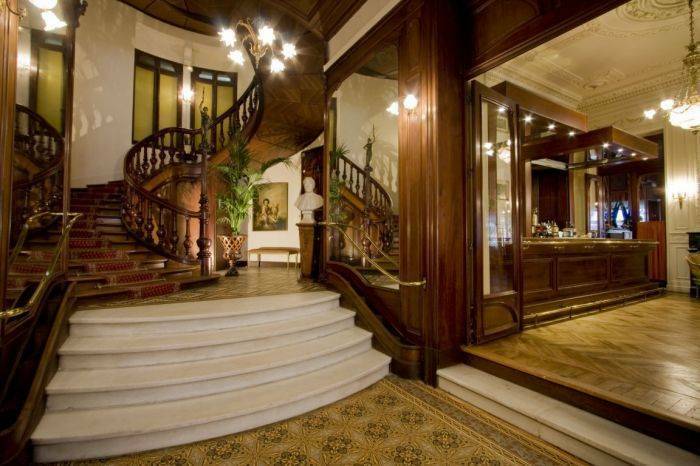 The exceptional architecture of the hotel makes it a master piece of Lourdes heritage. Fine French and Italian food in a stylish atmosphere of mouldings, wood and Italian marble from Carrare. Cancellation without any penalty until 3 days before the arrival. Less than 72 hours: penalty of the first night rate. 1/ Tarbes-Lourdes: 10 km (15 mn) / Taxi fare: 25 €. 2/ Pau-Uzein: 50 km (40 mn) / Taxi fare: 70 €. 1/ Lourdes: 1 km / Public transportation: 15 mn. 2/ Tarbes: 23 km / Driving time: 25 mn. Highway A64-E80 (Toulouse-Bayonne) - Exit n° 12 (Tarbes Sud-Lourdes). Then take left road N21 and follow signs toward Lourdes. Arriving in Lourdes, follow signs indicating "La Grotte" (the Grotto).